A team of 10 employees at Fidesco headquarters in Paris coordinates all volunteer recruitment, formation and fundraising. The team is also constantly monitoring national security issues in developing countries and can be reached by volunteers 24/7. National boards and staff members take charge of the recruitment and fundraising activities in their respective countries. The Fidesco national offices, which all share the same code of values, are: United States, Austria, Belgium, France, Germany, Poland, the Netherlands, Portugal. To view the various international web sites, click here. A central Fidesco council coordinates the national boards in accordance with the Fidesco Code of Ethics. Among the members are those in charge of the zones in Africa, Asia and America. Country correspondents supervise and stay in contact with volunteers and local partners and visit at least once a year for evaluation. 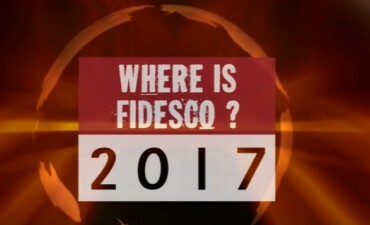 Project directors report on the projects for which Fidesco is directly responsible. Volunteer teachers and other professionals help during Fidesco formation sessions before and after the mission. Fidesco consults with local partners, embassies, government authorities and other NGO’s in order to assess each project’s goals, opportunities and potential obstacles. Based on this information, Fidesco decides whether to send volunteers and undertake new projects. Of course, one of Fidesco’s activities would be possible without the generous financial support of our nearly 16,000 donors.